Nature is incredibly unpredictable. It only takes minutes for a wind to double in strength or a dense fog to roll in, and for conditions to become acutely adverse. But there is something you can predict accurately, even in the midst of the most inclement conditions, and that’s the quality of the data captured by the MIC IP fusion 9000i and MIC IP starlight 7000ihe extremely rugged MIC IP family of moving cameras from Bosch. When developing the design of its MIC IP moving cameras, Bosch went to extreme measures to ensure they perform at their best even when the weather is at its worst. The camera bodies are constructed from solid metal, capable of withstanding high winds, rain, fog, dust and 100% humidity (UL Type 6P and IP68), extreme vibrations (IEC60068) and high impacts (IK10). Experience has also taught us that dramatic changes in temperature can have a detrimental effect on cameras, which is why the MIC IP family can function perfectly at temperatures from -40°C to +65°C. And what use is clarity if a camera doesn’t have longevity? To provide unprecedented protection against corrosion, MIC IP cameras feature superior metallurgy and finish, which has passed the rigorous ASTM B117 salt spray test. Bosch MIC IP cameras are supremely intelligent, capable of collecting crucial metadata whilst also featuring an alert function that can be specified to respond to certain situations, such as a traffic incident in a tunnel, providing full situational awareness at all times. As you’d expect from cameras with such a rugged design, the MIC IP family is built to last. 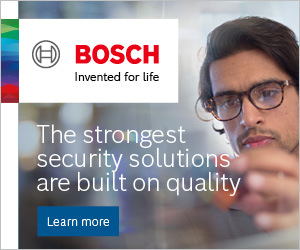 But what may surprise you, and what makes these Bosch cameras unique from other solutions, is the fact that the intricate technology behind the built-in Intelligent Video Analytics is also robust enough to continue functioning in the harshest, most critical environments. Intelligent Video Analytics is incredibly intuitive, and able to differentiate between genuine security events and known ‘false triggers’, such as challenging environments created by snow, wind (moving trees), rain, hail and reflections caused by water surfaces. The NEMA-TS2 rating ensures MIC IP cameras are also the ideal choice for traffic applications, such as highway monitoring and monitoring of tunnels and bridges. The accuracy of detection can also be achieved over large distances, making the MIC IP cameras an ideal solution for security over more demanding, large-scale areas that can prove difficult to monitor effectively, such as an airport perimeter fence, and the perimeters of critical infrastructures like industrial plants and government buildings. They can even be used to accurately monitor and track ships in harbor and coastal environments. Bosch’s starlight technology is designed to enhance picture clarity by maximizing low light performance in 24/7 video surveillance. It’s the gold standard in low light video performance, providing clear and relevant images regardless of lighting conditions, time-of-day or object movement to substantially improve levels of security. With a 1080p resolution and frame rate of 60 frames per second, it enables the MIC IP fusion 9000i and MIC IP starlight 7000i to capture highly detailed, color images in environments with minimum ambient light (down to 0.0077 lux). Both cameras are also safeguarded against scenes with uneven light conditions by their High Dynamic Range of 120dB. For after-dark use, the MIC IP starlight 7000i can be complemented with an optional illuminator, enabling the camera to capture high quality images, even in complete darkness, at up to 450m. 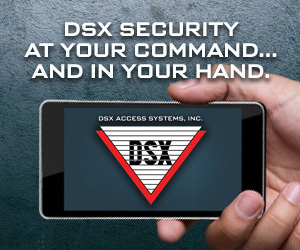 The key to effective security is the ability to respond quickly. Once a predefined alert set through the Intelligent Video Analytics is triggered the operator will receive instant notification. Even poor light levels are no hindrance thanks to the previously mentioned starlight technology. When light levels drop to zero, the optional illuminator in the MIC IP starlight 7000i camera, or the thermal capabilities of the MIC IP fusion 9000i, ensure the greatest level of detail for early detection of objects, substantially increasing situational awareness. Other innovations that set apart the MIC IP family from other cameras, particularly fixed models, is the ability to collect video analytics whilst moving. If, for example, the camera is performing a panning move and detects a mobile object, you will receive an alert. Once an object is detected during the camera tour, the Intelligent Tracking feature can be automatically triggered and tracks the object using its panning, tilting or zooming functions. And by dynamically adjusting the field of view, moving objects can be captured in great detail. Just as the weather is unpredictable, there are scenarios occurring all over the world that nobody could ever have foreseen. The sudden torrential downpour that reduces visibility on the roads. The diesel spillage that creates an instant hazard. The busy railway yard gripped by arctic temperatures. The national border crossing shrouded in desert dust. In these extreme instances, when objects become ‘invisible’, how can you guarantee a camera will remain effective? The answer comes in the form of metadata fusion. This unique built-in video analytics capability, available on the MIC IP fusion 9000i, is only possible because the camera has two built-in imagers; optical and thermal. Should a situation arise when the optical imager is obscured, in a smoke-filled tunnel, for example, an operator will be alerted whilst video data including analytics (metadata) from the event will still be captured by the thermal imager, which operates in tandem with its optical counterpart. The camera fuses the metadata from both imagers to provide the most detailed information on objects that are barely discernable. Traffic monitoring benefits enormously from the capabilities of the MIC IP cameras, from urban highways to coastal freeways, to the tunnels and bridges in between. Should an incident arise in a tunnel, for example, excess smoke would create an immediate problem for a standard camera fitted with an optical imager, whereas the MIC IP fusion 9000i has the additional thermal imager to keep the situation fully monitored to enable early detection, whilst the information provided by metadata fusion enables the necessary response to be organized knowledgably, and with maximum speed. The multi-functionality of Bosch MIC IP cameras makes them ideal for mission-critical applications such as monitoring traffic flow in a superior level of detail and collecting associated metadata reliably at the same time. Now you can determine vehicle classes, speeds, size, direction of travel and even color. And for a busy urban conurbation where maximum situational awareness is essential, the ability to undertake an accurate vehicle count provides statistics that are invaluable for keeping a city moving freely and safely. Both the MIC IP fusion 9000i and MIC IP starlight 7000i feature an integrated motorized silicone wiper to keep the glass, and lens, clean. Not that remarkable, you may think, until you consider the fact that these cameras will frequently be used by the roadside, at the mercy of spray, dirt and dust. Even in fog or low-contrast situations, visibility is greatly improved by the cameras’ Intelligent Defog function. These are the conditions that can cause accidents, so it’s imperative that the cameras deliver optimal performance. -40°C – and the MIC IP fusion 9000i has the added protection of a window-defrosting function, so it can continue to capture the highest quality video no matter how cold it gets. 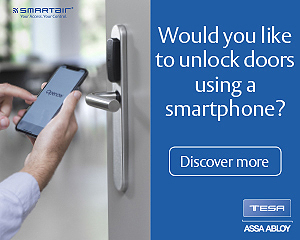 The Internet of Things and digital connectivity will have a hugely positive impact on our everyday lives. At Bosch, we’re fully prepared, and so are our cameras; fully equipped to join the vast infrastructure of lighting, sensors and smart devices that will make the journey through each day completely seamless, intuitive and, thanks to Bosch video cameras, secure.